This Blog feature deserves another look! Since then, many Expert Authors have used this feature to connect their name with a recognizable face. If you take a look back at some of the recent Blog posts, you will notice the gravatars that have been activated. Over time, you might be able to recognize members that have made comments on previous posts. We thought that now would be a good time to provide a refresher on how to get your own gravatar. How do I set up a gravatar? Signing up for a gravatar.com account is FREE and FAST. The only requirement is to provide an email address. Once you’ve signed up you can upload your avatar image immediately. Soon after you’ll start seeing it on gravatar-enabled sites – like EzineArticles.com. Simply go to http://en.gravatar.com/site/signup/ to sign up! What are the benefits of a gravatar over an avatar? Ease – You only have to create your gravatar once to have it appear on any gravatar-enabled site. Convenience – Updating your gravatar image updates your gravatar on every blog and forum using it. Consistency – Your image appears the same across all gravatar-enabled sites. Credibility – You have one unified “brand” representing your online presence. Gravatars fall in to that wonderful little “No-Brainer” category reserved for things that are FREE, EASY, FAST and packed with benefits. Take a few minutes now to create yours, then leave a comment so we can all see your creation! * Official Definition: A gravatar is an icon, or representation, of a user in a shared virtual reality, such as a forum, chat, website, or any other form of online community in which the user(s) wish to have something to distinguish themselves from other users. I like to gravatar over an avatar and their benefits. I joined this. I love EzineArticles – not just for the great new stuff I get to learn here about article marketing but also emerging media and technology updates too – gravatars is so cool, thanks! Thanks, I was wondering how some people got their pictures to appear. What criteria do you use to determine the authors that you show on the featured authors section? Are you asking about the Author Spotlight on our home page or the Expert Author Case Studies in our blog? … Other than that, the selections are purely random. Those being featured as Case Studies responded to a call for submissions we did several months ago. You can anticipate another open call later this year. Thanks for this informational post. Now I have created a Gravatar account and I am going to try its features. Thanks again. Its nice to know that many great sites like EzineArticles are gravatar-enabled. I would like to edit an avatar very soon. I am an active on the internet. I enjoy blogging, connecting, writing. You have done a wonderful service tonight explaining to everyone the importance of gravatar and you have made it easy for everyone to simply do it! Sometimes we just have to do it, one step at a time. So, everyone, get your pretty faces out there! How does the gravator work if you have a nom de plume that you also write with? Can you create two that are stored in your computer and you choose which one you wish to use? 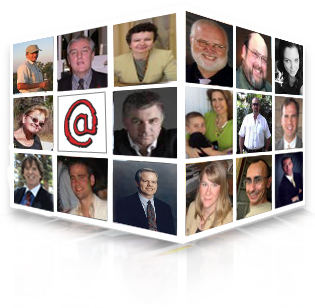 The Gravatars are linked to an email address, so you would need to create a separate email address for each pen name you use and then create an avatar for each of those email addresses.